An all-electric Jeep Grand Cherokee will be revealed at the Detroit motor show next month. The vehicle is the work of Ohio-based Amp Electric Vehicles, a company that specialises in building electric SUVs. The special Grand Cherokee will showcase Amp’s proprietary technology for SUVs and full-sized vehicles. The company has previously made a Mercedes M-class EV, and the vehicles will be made for production, with an emphasis on the fleet market. Company chiefs are aligning the Amp Jeep Grand Cherokee with the Tesla Model S electric saloon, and the price tag for the Jeep is expected to be in the $56,000 range, the US equivalent of about £36,000. “Beginning with a world class vehicle, and adding AMP’s electrification results in an EV that offers everything SUV customers expect: smooth powerful performance, zero emissions and up to a 100-mile range,” said Amp’s boss, Jim Taylor. 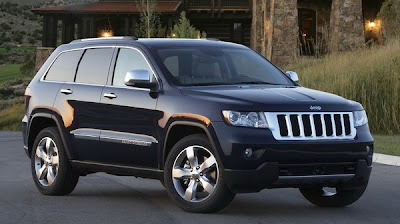 More details of the Jeep Grand Cherokee EV will be revealed at the Detroit show, which begins on January 9. Amp intends to announce further electric models during 2012.